Thank you for reading this post. My name is Enoch and I’ve been on Fiverr since mid 2013. Since then, I’ve used my knowledge of internet marketing, business and sales to create an amazing second income using Fiverr. I currently make $4000 a month, with only approximately 8 hours of work a week and I am one of the Top Rated Sellers on Fiverr. My success didn’t start right away; it took a lot of experimenting and trial and error. In this guide, I will save you the months of headaches and wasted money to get you started in earning a great second income (or even a great full-time income from home). 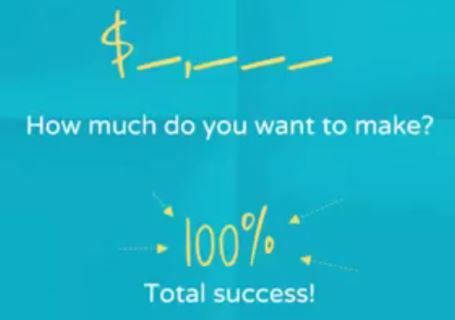 Yes, making enough money to quit your job is possible on Fiverr. It’s not a scheme or a scam, and it’s not a trick, it is just the truth. Just check out Fiverr’s blog if you don’t believe me. Every month they feature their top sellers with an article detailing their success stories. 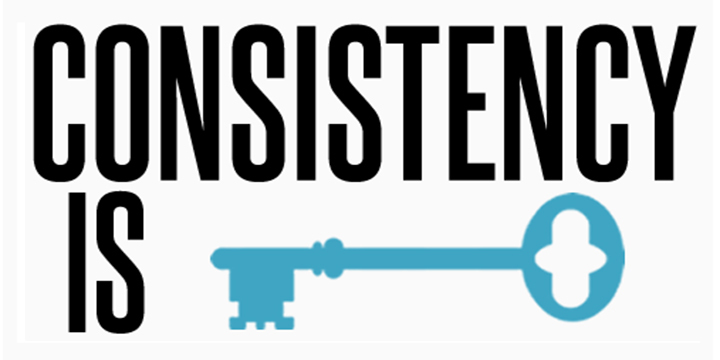 Do the success stories you read on Fiverr show you how to replicate that success? Of course not. This guide will lay out a blueprint—scratch that, this guide will HOLD YOUR HAND and will give you a formula so that you can make upwards of what I make on Fiverr and perhaps even more depending on what twists you put on my ideas or how creative you are. Here you can see proof that I’ve earned just over $4000 in Dec 2017 on Fiverr. I am not selling any fancy gigs that require a talent or skill not many people have or gigs that require a lot of work. I am selling gigs that are in high demand and can easily be done by almost anyone, which I will go into in this e-guide. If you want to get the most out of this guide, I highly suggest you follow along as you read. I try to include screenshots when I can, but it’s easier to absorb the information when you read and do it at the same time. Even if you’re just starting out, have never made a dime online and have zero experience in online marketing. I try to send out weekly free tips as well as update my readers on the state of Fiverr. As Fiverr introduces changes or even sometimes implements new rules, it’s important to maintain a discussion on how these things affect us and our business on Fiverr. Also, while it’s tempting to flip ahead to the meat of the guide, I suggest reading this guide from beginning to end and in order. I will often refer to tips from previous chapters. Also, it’s important to not miss any information. There are a lot of little things or little details in this guide. Every single one of them, when implemented in entirety, will really help you be successful on Fiverr. 1 So What You Will Learn in This Article To Make Money on Fiverr? 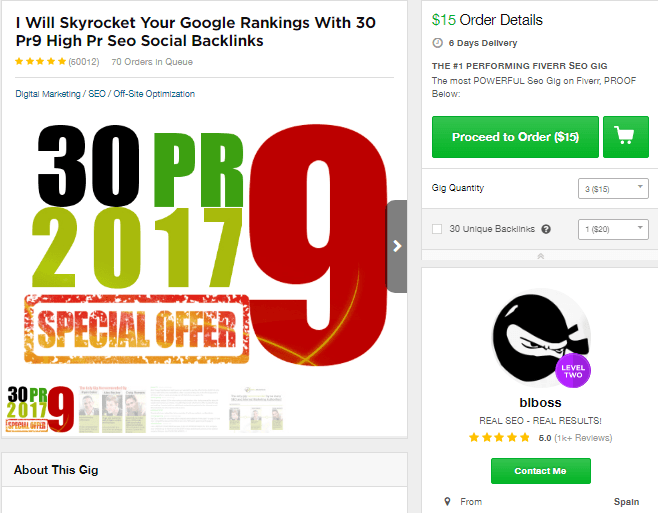 5 Quick Guide To Rank Your Fiverr Gigs and How to Make Money on Fiverr? 7. The Verdict on How To Make Money on Fiverr? So What You Will Learn in This Article To Make Money on Fiverr? Fiverr can be defined as a global online marketplace offering different task and services, referred to as “gigs” beginning at a cost of $5 per job performed. Every service you setup on fiverr platform is called a gig. 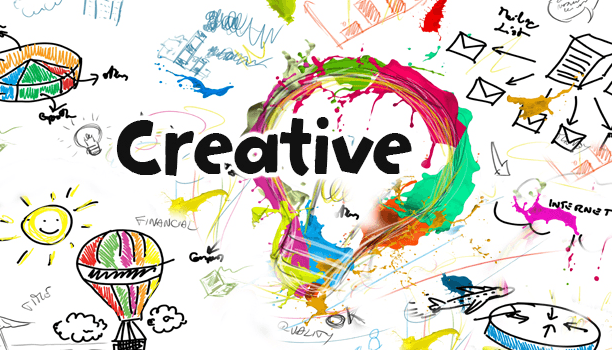 The site is primarily used by freelancers who use Fiverr to offer services to customers worldwide. This is very important. Having your gig in the best category and subcategory possible will mean more clicks and conversions when users are browsing categories just checking to see what kinds of gigs a category contains. I will tell you which category exactly each kind of gig I suggest should be in, in the next chapter. 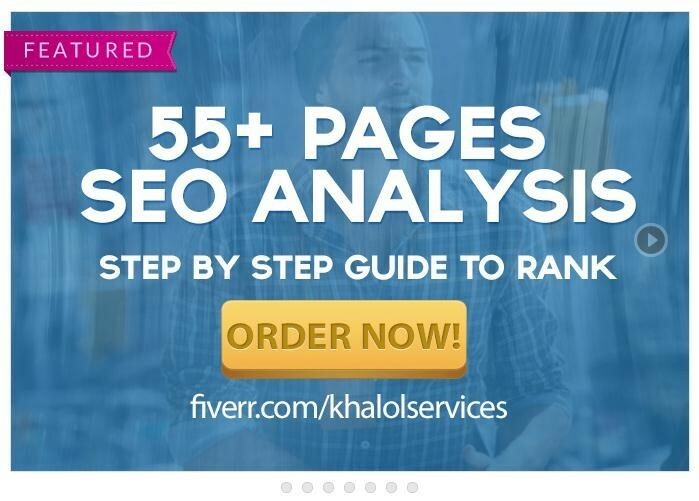 The most in-demand categories on Fiverr, in the order of most searched to least, at the time of writing this e-guide are: Online Marketing, Graphics & Design, Advertising, Video & Animation and Writing & Translation. As said before, you must know clearly that what you have to offer. Now this still remains relevant. 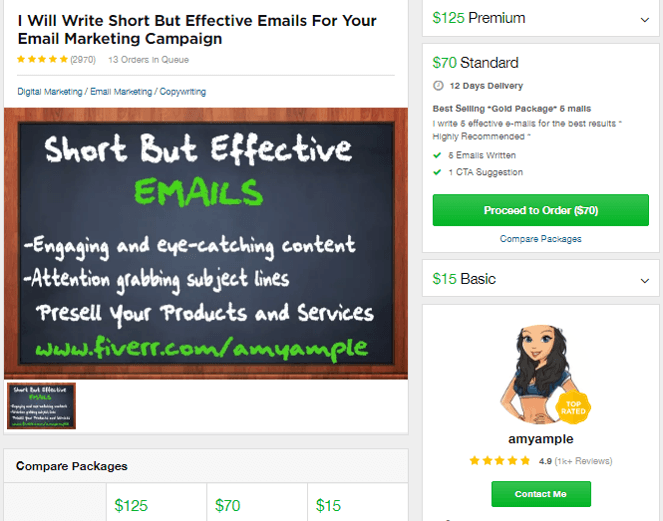 Make sure you don’t offer two different services on Fiverr. Instead, stick to your talent or passion. If you haven’t made your Fiverr account already it’s really important you do right now. This is because Fiverr has seller levels which partly depend on the age of your account. I will go into further detail explaining what these levels are, what they do and why they’re important. Seller levels are important since they place a badge or icon next to your name which gives you credibility to other users. Besides that, seller levels open up new options for you as a seller. Requirements: 30 days member and completed at least 10 orders with excellent ratings. Requirements: 60 days member and completed at least 50 orders with excellent ratings. Requirements: Top Rated sellers are manually chosen. You need to have a high sales volume, seniority, very high rating across all of your gigs, and good customer service. This is very difficult to achieve but with this e-guide it is possible. Don’t fret though: your goal should be to at least achieve Level 2. This badge will help increase your sales volume. I’m now going to go into how I create a gig that will be picked up in the searches. This section will be very general. When I go on to talk about what to sell on Fiverr in the next chapter, I will go into detail as to what to put exactly for each type of gig I suggest. I will cover exactly what keywords, titles, images, categories and more. For now let’s look at how I create a gig and then what my “secret sauce” is. Let’s create a gig. 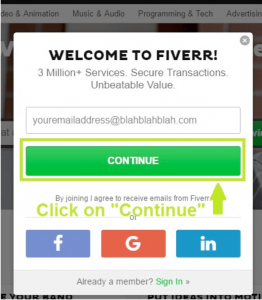 At the top right of Fiverr.com, you will see Start Selling or Sales, depending on whether you just createdyour account or not. Under “My Sales” click on “Create A Gig”. This is very important. Having your gig in the best category and subcategory possible will mean more clicks and conversions when users are browsing categories just checking to see what kinds of gigs a category contains. This is a special section when creating a gig that is not available for most categories. You are able to upload a “Facebook timeline-like” cover photo that becomes a full-page banner across the top of your gig. What you upload depends on what you’re selling. If you’re selling yourself, say holding a sign or making a video testimonial, you should upload a photo of yourself showing off your personality. The gig gallery allows you to upload JPEGs no bigger than 5 MB. The recommended dimensions for these photos are 682×459, I know those are weird dimensions but that’s what Fiverr recommends and scales your images to. Here you should only use high quality photos. Either samples of your work, like if you’re selling logo designs for example, pictures of yourself if you’re going to be modeling a sign or doing video testimonials, or an image created by you or someone else which attractively displays the service you offer, like a splash image advertising your backlinks service. You can either make that kind of image yourself or again, find someone on Fiverr to do it. Okay, so here’s the big secret sauce and the main thing that will help get you more sales than you currently are. You must upload a video for all your gigs. Period. Fiverr is not lying when they say gigs sell better when they have a video. Your gig will appear higher up in searches and for Pete’s sake, there’s even a filter in searches to only view results that have videos. Do you really want to be left out of that? I know, what you’re thinking… “That’s the secret sauce? That’s it?” Well, there’s actually a little more to it. There’s also a secret ingredient to it. Keep reading! You would be shocked as to how many sellers do not upload a video for their gigs. Even the successfully selling gigs would do twice as much in sales if they just had a video. The biggest thing I found experimenting with Fiverr, and that I never see anyone ever suggest, is something so simple. You need a video for all your gigs. And yes, it doesn’t even matter what you’re selling, you should create and upload a video for your gigs. Which gig are you more likely to click on for the exact same service? Obviously, this is dependent on what you’re selling. However, in general, you want to stuff as many keywords as possible in your descriptions. 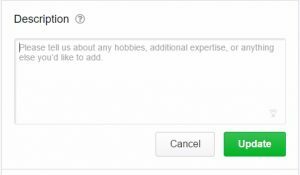 Fiverr will not allow you to publish your gig if it contains too many instances of a keyword, so just put as many as Fiverr will allow. Usually it’s 3 instances. Youalso only have 1200 characters to work with. While that may seem like a lot, I generally like to have a FAQ in my descriptions after I describe the gig. Trust me, when you get 30-40 orders a day, you won’t want to deal with the same questions over and over as well as the same mistakes people make when ordering your gig, such as assuming you do something you don’t. These are very important if you want your gig to be picked up in searches. You’re only allowed a maximum of 5 keywords here so make them good. You’re also only allowed to use a keyword once. So if I use “Twitter” I can’t also put “Twitter followers”. So which do you use? Put the keywords people are searching. Fiverr users are not really searching “Twitter”, they’re using “Twitter followers” so use that as a keyword instead of just “Twitter”. The duration of your gig is purely dependent on a few things. If you have a supplier or are outsourcing something, test your supplier first before making a gig. See how long it takes them to deliver on average. I go into this a bit in my next chapter but that is one way to determine duration so your orders don’t end up being late. Even if your gig is running late, Fiverr allows you an additional 24 hours to deliver the gig before the seller is able to cancel. So, you technically have 2 days to deliver a gig even when you set it to 1 day. If you’re running really late, always notify your buyer or ask your buyer to “please not cancel the order”. This is key. If you’ve already outsourced the gig and paid someone else and your buyer cancels, you will lose that money. On top of that, negative feedback is left whenever a buyer cancels a late order! So be careful. If you want to make real money on the internet, this is the place to be. I’m going to show you how to use fiverr.com to create your very own cash machine. I’ve been teaching people how to leverage the power of Fiverr since the year 2014. I’ve traveled around the country teaching this. From Lagos to port Harcot all the way to Abuja. Just today here’s what one of our students posted on Facebook. We have hundreds of testimonial based on the work we have done teaching people how to use fiverr. Let me show you what’s possible for you. 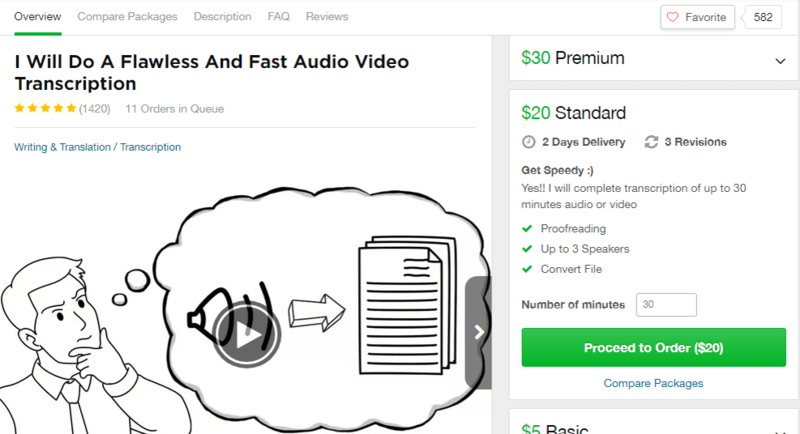 Now one of the most popular thing to do on fiverr is Transcription. and figure that out write down transcription. Because as long as you have my transcription software, you would be surprised about how easy this is to do. Now here’s one of the girls that does transcription that I absolutely love. And she starts out offering a basic service for $5 but has a bunch of what we call gig extras or upsells. I’ll teach you about how to do that in my course. But what I want you to pay attention to is that she has done over 30,000 orders. And if each order averages at about $10 her screenshot above show that. Of course you are going to need to know the right equipment to use to start with but don’t worry I’ll teach you all that in my course. Now here’s another one that I love logo design. Now you may be saying Enoch I can’t do logo design. Don’t you worry because I’m going to show you how to do that in just a minute. But this guy here, gigblast he’s average package that he has is $25 now he says that he has done over 42000 on fiverr. Is over a million US dollars. Doing logo design on fiverr. Who know logo design can make you a millionaire on fiverr. Not bad that’s a good salary just sitting at home. In my course I show you a software that you can use to make great logos just as good as this guy. Here’s someone who does an internet marketing business gig. Again let’s look at the numbers. 100,000 orders this guy says he has delivered at $15 that’s 1,500,000 again another fiverr millionaire. And if we just estimate he did $10 each that a flat million dollars and he’s been working on the site for 4 years so that’s about 375,000 a year. How many of you would like to take that home of course you would. Here’s Another person doing internet marketing services but using a software to do this (which you can also) they have done. 200,000 and their average order is at $20. That’s 4,000,000 US dollars and they have been here for for years now. That’s one million every year. Do you here me. A million a year. This is a service I personally deliver using one of my accounts. As I’ll show you this account does close to $4000 every month. I don’t even write the emails I use my swipe file collection and also a software that writes the emails for me. And all of this thing that I’m showing you. Are things that you can do. So why does fiverr work so well. A lot of people visit the website looking for people to do work for them. The Verdict on How To Make Money on Fiverr? We saw a Fiverr seller which is making that much working on this site. 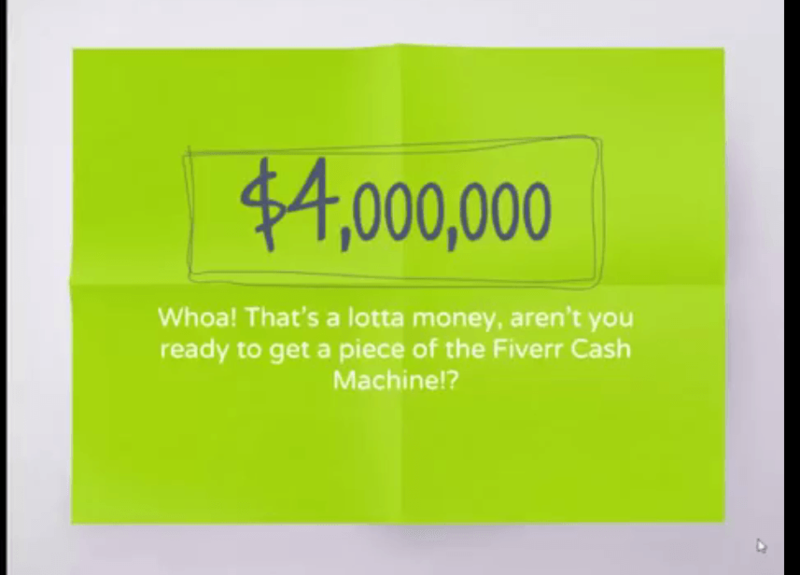 Aren’t you ready to get a piece of the Fiverr cash machine. Think about how much you would like to make. Write it down. I’ve show you what’s possible but look at your numbers how much would you like to make per month. And trust me by using this website right and if you set up everything correctly and we will show how you can set yourself up for success. It will come to you. It is not that hard to work on Fiverr. You just need to know how to set everything up correctly so that you get found. You’ve seen what possible, now learn the step by step process they you need to take in order for you to create your own success on Fiverr. One you become financially independent and when you make your first million. Just send me a message so I can celebrate your success with you.